The buzz around sustainable alternative jet fuel has grown to an all-time high in 2018, having picked up momentum this spring following the release of May 2018’s Business Aviation Guide: To the Use of Sustainable Alternative Jet Fuel (SAJF). Since then, excitement has sustained as business aviation operators patiently await the products’ availability in the market. While some of its commercial aviation counterparts begin inaugural flights utilizing SAJF, bizav operators continue to wait. Nevertheless, Avfuel’s experts in alternative fuels confirm that progress is being made on this front, and that sustainable alternative fuels should remain a priority and focus for suppliers and operators alike. Though aviation—and business aviation in particular—is one of the last modes of transportation to adopt environmentally-friendly fuel sources, it’s not from a lack of effort. Rather, it’s quite the opposite. Aircraft, more than any other type of machinery, require heightened safety considerations. And now that a safe, viable sustainable jet fuel product has been developed, the challenge is in the supply and logistics. But—as the old adage goes—all good things are worth the wait. And this sustainable alternative jet fuel product is no exception to the rule. Here’s why sustainable alternative jet fuel is beneficial, why it’s not yet available in the business aviation community, what Avfuel is doing to make it available, and what flight departments can do to support the effort as a key component to bringing the product to market. The most obvious—and most important—benefit of sustainable alternative jet fuel is, of course, its part in protecting our environment by reducing aviation’s carbon footprint. Because SAJF is derived from renewable feedstocks, its entire lifecycle produces a net benefit for our environment. And for carbon-footprint conscious companies with flight departments, the availability of SAJF is one more way they can reach their company’s corporate environmental sustainability goals. Such efforts are often reported annually by companies to make stakeholders aware of the efforts they’re making to reduce their carbon footprint. It’s become an important ethical component for many companies, and SAJF will become business aviation’s contribution to this effort, enabling our industry to better care for the world and its inhabitants. In conjunction with corporate environmental sustainability goals, using SAJF will be beneficial for flight departments—and the companies in which they operate—in terms of public image and enhanced visibility. Those flight departments and operators that choose to be on the cutting edge of sustainability will undoubtedly be recognized as early adopters and industry trail-blazers, receiving a fair amount of “earned media,” which could, if managed correctly, make the extra cost per gallon on SAJF pay for itself; this would make SAJF beneficial for both the environment and the corporation. And to further curb the initial cost of a limitedly-available product, flight departments may receive savings through potential incentives or credits, as being considered at both the state and federal levels. So if sustainable alternative jet fuel is beneficial, why is it not yet readily available? To date, availability is the most pressing issue that has hindered the widespread adoption of SAJF for business aviation. At the production level, sustainable alternative jet fuel is a highly-concentrated product, which is then blended with standard petroleum-based jet fuel to create an SAJF product that adheres to ASTM D1655 and is ready to be placed into the wing of an aircraft. This concentrated product is not yet available in quantities large enough to be able to serve the entire aviation community. And beyond supply, the logistics of blending, storing and transporting the product are intensive. Again, in order for the concentrated SAJF product to be consumed, it has to be blended with jet fuel and meet ASTM D1655 standards. This is not as straightforward of a process as simplified rhetoric implies. Rather, there are an array of considerations: from where to source both the SAJF and jet fuel products, where these products will be stored, at what point they are blended and tested, and to whom these products will be delivered. Due to such particulars, the supply chain for SAJF may be limited in the early years of market introduction. So with such complexities, is the industry making progress toward bringing an SAJF product to market for the business aviation sector? According to Avfuel, the answer is, “yes”. And the fuel supplier is working diligently to make it happen. In order to bring the product to market for business aviation, Avfuel’s alternative fuels and quality assurance teams have been hard at work to secure more reliable sources of SAJF. Avfuel’s agreement with Gevo—a leading next generation biofuels company—to be its exclusive fuel supplier was a first major step to this end; but to meet the demand for SAJF in the business aviation market, more sources of the product will be required—an area in which Avfuel continues to focus. Furthermore, the alternative fuels team is working with the quality assurance team to determine the most effective logistics plan—in terms of safety, cost and time—to source SAJF and the jet fuel with which to mix it, blend it, and define the optimum locations to store it for distribution to the end user. To help encourage producers to increase their outputs of SAJF, Avfuel has also worked diligently to develop relationships and commitments with those customers within Avfuel’s portfolio that are interested in purchasing the final (blended) SAJF product. With a better, more accurate understanding of the demand for the product, Avfuel can share this information with current and potential producers to better gauge the volume of supply needed to meet demand. This, in turn, will help the product to become more available and—down the road—more cost efficient as supply and demand align. Finally, Avfuel has been diligently working to enhance awareness on the viability of the product’s reality for the market through an array of marketing efforts, including: a devoted web page on avfuel.com, press releases, a variety of communications, work with various industry associations and working with organizations to plan an event that will prove the concept: that SAJF is a viable option for business aviation operators. But bringing the fuel to market will require efforts on the part of the producer, supplier and end user. Despite the fact the product has yet to enter the bizav market to a degree beyond test quantities, there are a number of actions flight operators can take to help support this initiative. First, flight operators can inquire within their companies as to what the flight department’s role is—or could be—in reducing its organization’s greenhouse gas emissions. The company can then determine if becoming an adopter of SAJF fits within its goals and priorities. Referencing May 2018’s Business Aviation Guide: To the Use of Sustainable Alternative Jet Fuel (SAJF) can help flight departments and companies answer questions concerning the product to make more educated decisions. Then, flight departments can have some real conversations as to whether or not the company wants to become an early adopter. If so, we come to another—and perhaps the most important—actionable item. Flight operators can formalize commitments to purchase SAJF with their home bases or directly with their home bases’ fuel suppliers; the supplier can then provide a more accurate sense of demand to producers, further promoting production. After all, without demand, there cannot be supply—and without supply, demand can struggle to grow. It’s a chicken-or-egg scenario that requires a meet-in-the-middle approach. Start having these conversations now so supply and demand can both be supported and met. With this in mind, the flight department should think through its needs and communicate them accordingly, including: its ideal timeline for supply needs, the volume of product it will require, whether or not the home base as a whole would be interested in a steady supply of SAJF, and the cost to—or perhaps the cost not to—commit to using the product. Furthermore, flight operators can monitor the regulatory activity in their home states with regard to low carbon fuel standard credits that could apply to SAJF. This can help in the adoption decision-making process with consideration to the cost of the product. The combined efforts of aviation organizations—from supply to logistics to end users and everywhere in between—will undoubtedly push SAJF into the business aviation market. But while the product is not yet available, there’s wisdom to the idea that everything good is worth the wait. And when it comes to sustainable alternative jet fuel, no words could be truer. With some of the industry’s most dedicated minds behind the task—and with the key support of flight operators—Avfuel is confident our growing segment of aviation will benefit from the availability of SAJF in the near future so we can do our part to protect our environment: Flying cleaner. Soaring higher. 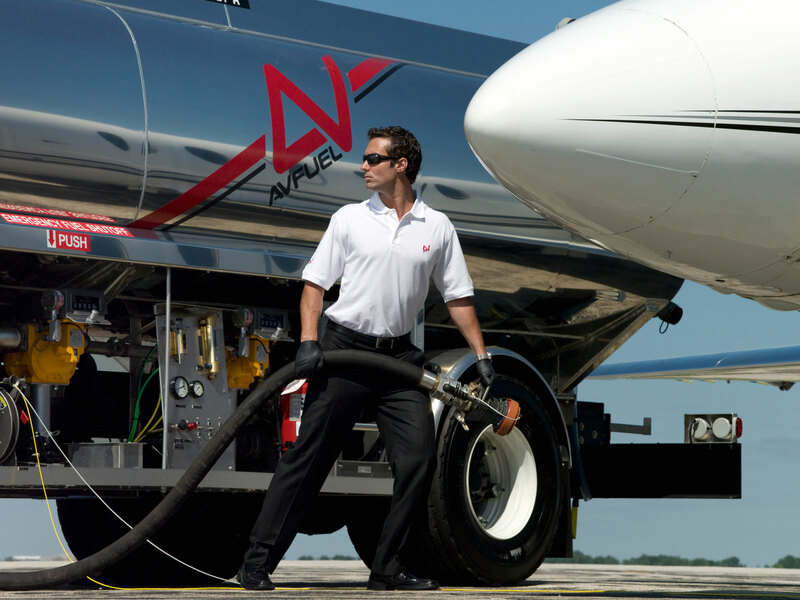 Learn more about Avfuel’s alternative fuels initiatives by visiting avfuel.com/Fuel/Alternative-Fuels, emailing Avfuel’s manager of alternate fuels, Keith Sawyer, at ksawyer@avfuel.com, or by visiting the Avfuel booth (#2219) at NBAA-BACE in Orlando, Florida (October 16 – 18, 2018). Avfuel provides fuel and services to the global aviation industry and is the leading independent supplier in the United States. Supporting industry development is important to Avfuel, which is why it created Avfuel Technology Initiatives Corporation with the mission to further industry advancements, including bio and renewable fuels on several fronts, and no-lead avgas replacements, domestically and internationally. In addition to the development of these products, Avfuel Technology Initiatives Corporation thinks through the logistics of market introduction to help ensure any new product is sustainable, reliable, competitively priced, and fairly accessible.